Staying independent and mobile is one of the most important issues for an aging senior. But as we age it can get difficult battling aches and pains and diseases that can leave our seniors feeling anxious, weak and fearful that they will not retain that independence. 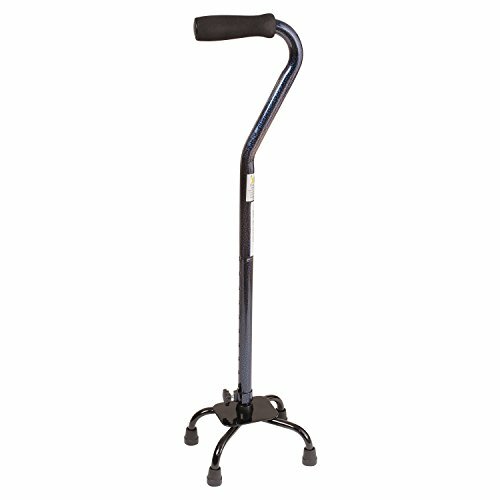 Finding quality walking aids for the elderly is the best way to keep them moving. My Dad battled Multiple Sclerosis well into his senior years, and for many years he would use a cane which he liked, but then one day he just started leaning too much on that cane and he fell. This totally shook his confidence as he had been going out a lot and enjoying visiting his friends. He became fearful of falling again. We realized that he had been putting more and more of his weight on this cane and it simply couldn’t take it. In order to stay mobile and feel confident he would use two of these especially if out walking around and even in the house. My fear was that it would be too cumbersome and heavy but it wasn’t and he was back to feeling confident again and getting out and about. At first he didn’t want to depend on anything but then quickly realized he would be house bound if he didn’t try some of these mobility aids. the weight is spread out on these 4 feet. 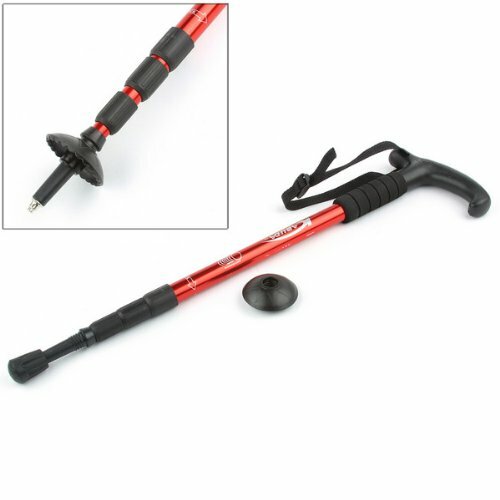 For a long time, my dad would leave his new cane in the house and was constantly losing his balance and then falling as he didn’t want to admit needing anything. So, he finally realized he couldn’t move properly without some kind of assistance or risk hurting himself. It was only after shopping for different styles of canes that he realized some actually look stylish. If you only need a little bit of assistance then a cane can be very helpful. There are many cool looking and trendy canes on the market now that also look like walking sticks. My dad took to these right away and had a couple of different styles and was able to go for his walks with confidence. You can get different handle styles and some are creatively carved. It depends on your budget and tastes. But as he aged and his disease progressed, this cane was no longer enough so then he switched to the quad cane. When he needed to lean on it a little bit more he felt confident it would not slide out from underneath him. As time went on he didn’t walk as far and tired easily. We noticed he just wasn’t getting out as much or would decline invites to go out, so then my mom started looking into the mobility scooters. Due to the weakness in his upper arms using a walker was not really a good option for him, and the canes were simply not holding him up as well over any longer distance. He felt ok using the quad cane in the house or in a small store, but not out in the mall for example or longer walks. So, after much research they invested in a mobility scooter that could fold up easily into the back of the car. My mom is not very big but she is strong and it had to be something she could handle. He didn’t want to have to resort to using this type of assistance, but after he tried it and realized how easily he could get around he took to it right away and kept his confidence and independence. Actually at the mall he would be gone ahead of us! He would carry his quad cane in the basket (it folded) so that if he wanted to venture into a store or a short distance he could then walk. By having the right combination of helpful tools he was able to stay independent and in his own home. My mom took my dad to a medical supply store and the people in this store were the best people ever for him, as they assessed his needs and came up with all kinds of great ideas and ways to get around. What works for one person may not work for another. In his case the quad cane and then the mobility scooter were the best mobility aids for him. But friends of my mom’s use a walker all the time to get around as they like to lean forward and push something. You no longer have to rely on that rickety old cane your granddad owned, there are affordable safe options that can make the life of a senior with walking issues easier. He also got fitted for good walking shoes that were actually fashionable but supported him in the best way. He did exercises every day to retain his strength and enjoyed getting out. He also found out he could get a tax break for doing some upgrades in the house to help him with his daily routines. These affordable additions to the bathroom are another way to keep aging seniors feeling confident in their own homes. You can get all of these tools at medical supplies stores but shopping online is another great way to find out what is out there without running all over town. It was online that we found the “bed cane” that helps people to get in and out of bed without the fear of falling, so have a good look online to see what has been created for this busy market. Walking aids for the elderly and anyone that needs help with mobility will be surprised to see the many options that are now available. So, if you need a little bit of help getting out and about there are lightweight yet strong options out there.